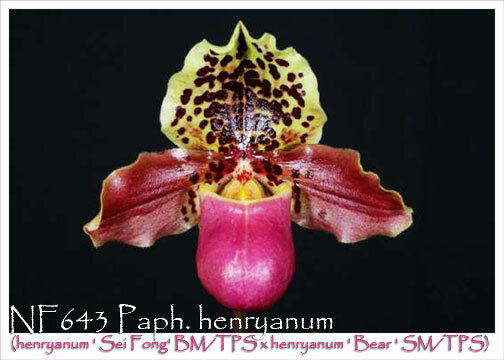 An outstanding strain of this popular Paph. 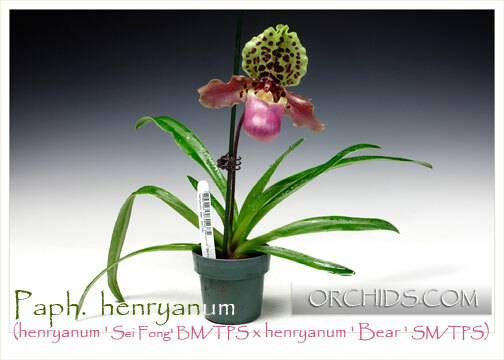 species from the same strain that received an Award of Quality from the Taiwan Paphiopedilum Society ! Producing large flowers on small fast-growing plants, this is an F1 generation producing an amazingly strong pouch color. 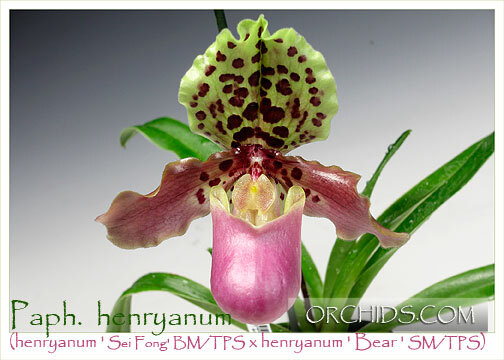 Its heavily spotted dorsal and broad petals create quite a show on plants that clump readily, producing many growths in a small pot. A great new breeding line to come to the US !